International students are the best brand ambassadors for the host country. India with its rich history, diversity and a rapidly growing economy has all the elements to be one of the most sought-after destinations for higher education. According to the UNESCO Institute for Statistics (UIS), the number of internationally mobile students globally has increased to 4 million in 2012 with a 135 per cent increment from 1.7 million. China has been the largest contributor of the world’s mobile students since 1995. India became the second largest contributor since 2005. In 2012, over 189 thousand Indian students were enrolled in higher education institutions abroad. This population accounts for 4.7 per cent of the total internationally mobile students worldwide and is the second largest source of foreign students after China (17.3 per cent). Despite its magnitude, this population represents a small proportion (0.7 per cent) of total higher education enrolment in India (29.18 million). Even though many Indian students go abroad to pursue their higher education, at the same time India is gradually emerging as a preferred destination for foreign students, particularly from the South Asian region. The growth in the number of foreign students in India has been impressive. The recent data for 2011&dash;12 shows that within a year, India received 5625 more students, an increase of almost 20.43 per cent from the last year. In 2011, these students came from 153 countries. India is slowly expanding not only in terms of the number of students but also the number countries from which these students come. In a session with eminent educationists namely Prof. Furqan Qamar, Secretary General, AIU; Diptiman Das, Chairman and MD, EdCIL; Dr. G Vishwanathan, Chancellor VIT; Rahul Choudaha, CEO, DrEducation LLC, USA; Dr. Anupam Singh, Director – IET, JK Lashmipat University, Jaipur; Daniel C Stoll, Associate Dean, Georgetown University, Nicholas Booker, Cofounder, Indogenius and Dr Vidya Yeravdekar, Principal Director, Symbiosis University, it was discussed as to how to increase the number of foreign students coming to India for higher education. According to the All India Survey on Higher Education (AISHE) 2011&dash;12, Nepal contributed the highest percentage of foreign students in India. Of the total foreign students, nearly 19 per cent were from Nepal, followed by, Bhutan, Iran, Afghanistan, Malaysia, Sudan and Iraq. Even though the share of foreign students from the top ten countries has increased in a year’s time, the rise is not uniform. 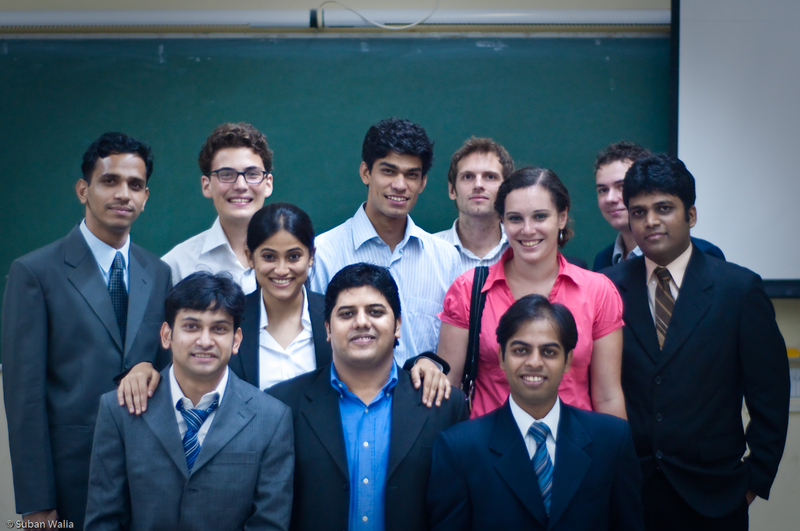 The top ten countries of foreign students in India constitute 62 per cent of the total foreign students in the country. The rise in the number of students from Nepal and Bhutan has been the highest, while the number from United States, China and Iran has declined compared with 2010&dash;11. Out of the total foreign students, 76 per cent came to India for under&dash;graduate studies and 18 per cent came for post&dash;graduate studies. The data on the mobility of international student shows a dismal 30,000 foreign students coming to India viz a viz more than 3 lakh Indian students going overseas annually. With the current push to expand and improve India’s domestic education system, India will join a growing number of Asian education hubs in presenting new study abroad options for foreign students. Already collaborating with many other nations in business and trade, India seems poised to push its education system forward to the connect to the rest of the world. As the British Council observes, Indian institutions will be “looking globally for partners” as they expand to accommodate domestic demand and improve to the point where they can attract and accommodate greater numbers of international students.